M.G. Cabinets has been serving Winnipeg and South Eastern Manitoba since 1984 and we have the cure for all your kitchen aches and pains! We have a wide selection of materials, door styles and cabinet types with many options on display and can help you with any questions or concerns you may have. Stop by our showroom at the corner of HWY 59 and Beach Road in St. Malo, MB (about a 40 minute drive south from the Winnipeg Perimeter HWY) or give us a call at (204)-347-5532 or toll-free at 1-877-493-6172. Visit our about page to learn more about M.G. 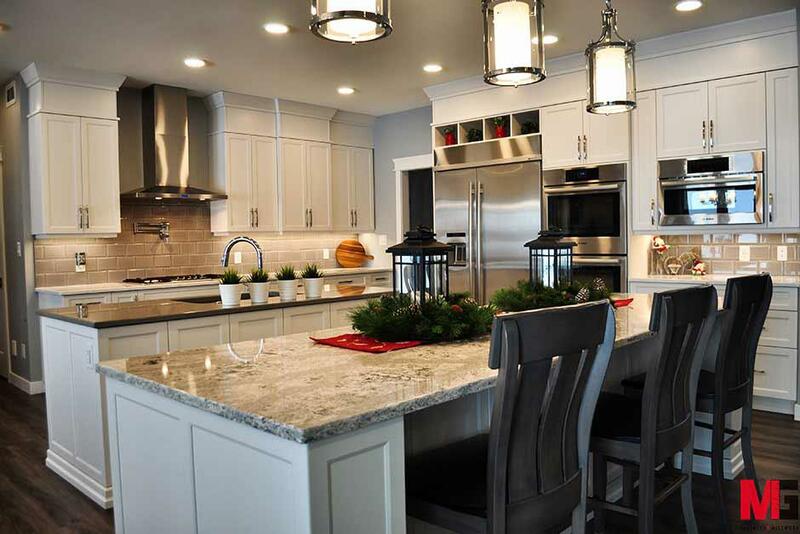 Cabinets and Millwork Ltd.
Houzz is the easiest way for people to get the design inspiration, project advice, product information and professional reviews they need to help turn ideas into reality. 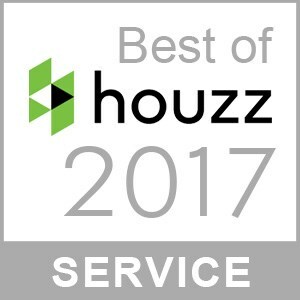 We have won the Best of Houzz 2017 award for customer service! We would like to thank our customers for choosing us to make their kitchen dreams a reality! Click the badge to view our profile on Houzz! ...The high quality workmanship and attention to detail was excellent. M.G. Cabinets made my dream kitchen come to life! ...We have zero complaints and would highly recommend M.G. Cabinets to anyone.